​The Advertising Standards Authority (ASA) has contacted Tottenham to express concerns about posters which claimed that their new stadium was 'The Only Place to Watch UEFA Champions League Football in London'. The posters, which appeared on the London Underground and elsewhere in the capital at the end of last season, were a dig at rivals Arsenal and Chelsea, who both failed to qualify for the Champions League. 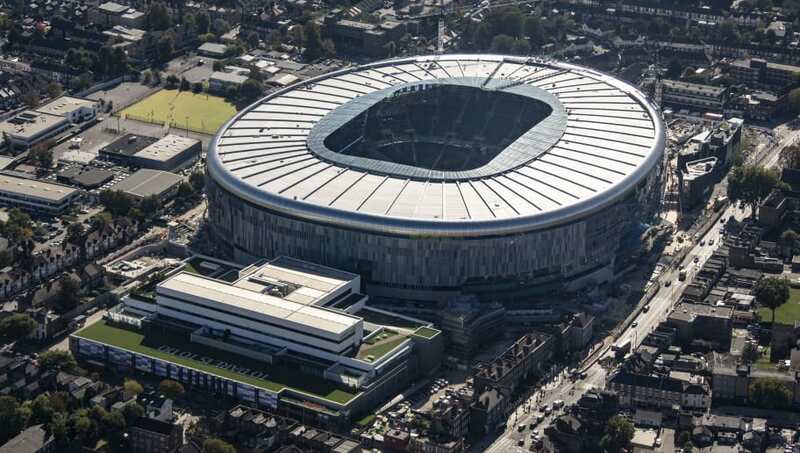 The stadium was supposed to stage its first match in September but construction delays have seen the opening pushed back to January - by which time ​Tottenham could be out of the Champions League. They are three points behind ​Inter in Group B and must beat I Nerazzurri on matchday five before matching the Italians' result on matchday six in order to qualify for the knockout stages. The ​Daily Mail claims that the ASA are investigating a likely breach of advertising regulations. Item 3.1 of the regulations states: "Marketing communications must not materially mislead or be likely to do so." Meanwhile, ​the Telegraph reports that Premier League clubs are growing increasingly irate over Tottenham's over-ambitious opening date for their new stadium, and the quality of the Wembley pitch on which they have been playing in the meantime. A recent Premier League match against ​Manchester City took place just one day after an NFL game at the stadium, leaving the pitch in awful condition and with American Football markings still visible on the turf. No Premier League team has ever played home games at multiple venues in the same season and concerns have been expressed about the integrity of the competition if this is allowed to happen. The first match in the new stadium is likely to be against ​Manchester United on January 13.